One would like to get off the GRU topic, but we have to follow the news to some extent. 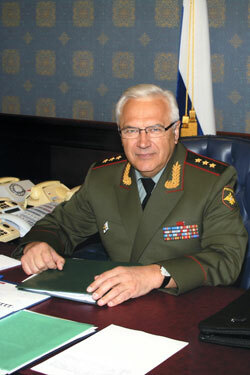 General-Colonel Shlyakhturov not only spoke in advance of the November 5 military intelligence anniversary, but actually posed for a photo sporting a smile and his third star. We don’t learn much here. There are confirmations of what we’d already heard and read recently, or even long ago. The GRU’s adapted for new missions, but keeps the old ones. The threat from Georgia is emphasized as in previous years. Military intelligence still falls under the Genshtab. Shlyakhturov admits to restructuring and reducing, but insists the GRU’s still a “full-service” intelligence agency. Spetsnaz has gone to the MDs, but the GRU still has a train and equip role. 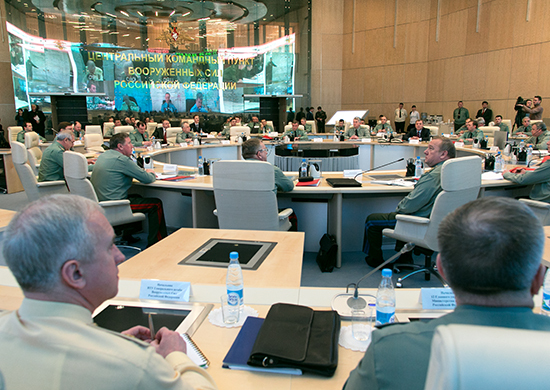 Shlyakhturov hints that military intelligence is still very interested in foreign technology. Shlyakhturov expounds on how terrorists and extremists pose the “greatest danger,” and the GRU monitors the situation in regions, like Georgia, from which this danger may emanate. He’s quick, however, to deny that Russian special services have engaged in any subversive activity whatsoever against sovereign Georgia. But, he says, the GRU will provide timely warning to the country’s military-political leadership if Tbilisi prepares “new military provocations against Russia and its regional allies.” Changing tack, Shlyakhturov stresses that the GRU puts great stock in cooperating with special services of other countries to get threat information. The GRU Chief says the agency is focused on “new” issues like economics, natural resources, and nuclear proliferation. 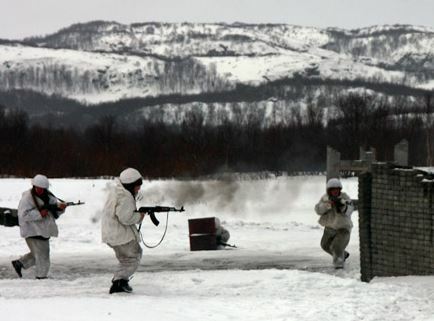 But it hasn’t lost focus on the disposition of foreign armies and armaments in different theaters of military operations and other issues that affect the employment and development of Russia’s Armed Forces. Asked about reporting to the president, Shlyakhturov emphasizes that, as always, the GRU reports directly to the Defense Minister and Genshtab. But the GRU’s most important documents still reach the president, prime minister, and Security Council, and influence Russia’s foreign and defense policies. Shlyakhturov says the GRU has redistributed its efforts to focus on regions posing a threat to Russia’s interests and security, “hot spots” where terrorists and extremists operate, and crisis zones where international stability is threatened. He notes, however, that the GRU still has operational, technical, information-analytical, and support sub-units as well as what he claims is a very spartan central apparatus, or headquarters staff. Spetsnaz has, Shlyakhturov admits, gone to the MDs, fleets, and VDV, but he says they’re still part of operational intelligence, and the GRU provides their doctrine, training, and equipment. Finally, he says the GRU remains interested in foreign technology developments, and its work here supports R&D efforts, the OPK, and the state program of armaments. 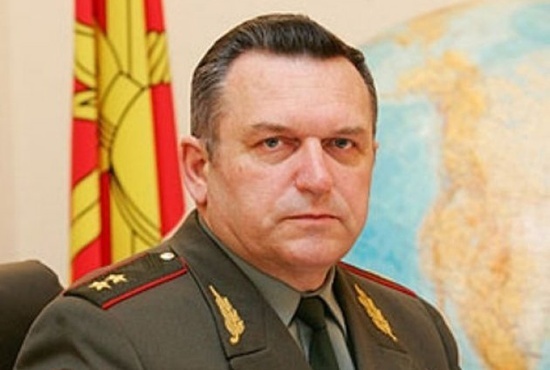 Izvestiya’s Denis Telmanov reported yesterday that 64-year-old General-Lieutenant Aleksandr Shlyakhturov is set to retire from his post as Deputy Chief of the General Staff, and Chief of the Main Intelligence Directorate (GRU). Shlyakhturov went to the hospital at the end of last month [probably for his military discharge exam], and hasn’t returned to his office. Genshtab sources tell Izvestiya that Shlyakhturov did his job – making “severe” cuts in the GRU, dismissing 1,000 officers, cutting from eight Spetsnaz brigades to five and resubordinating them to MD commanders, and making other cadre changes that can’t be discussed publicly. 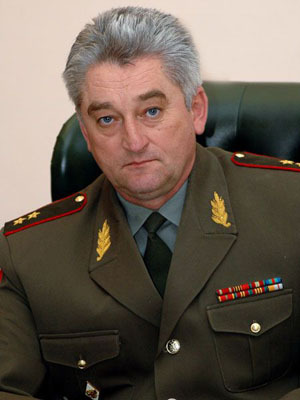 In short, according to the paper’s source, Shlyakhturov implemented the reorganization his predecessor Valentin Korabelnikov reportedly wouldn’t two years ago. One military official called Shlyakhturov a taciturn executive, who never once argued with Defense Minister Serdyukov and fulfilled all his orders. 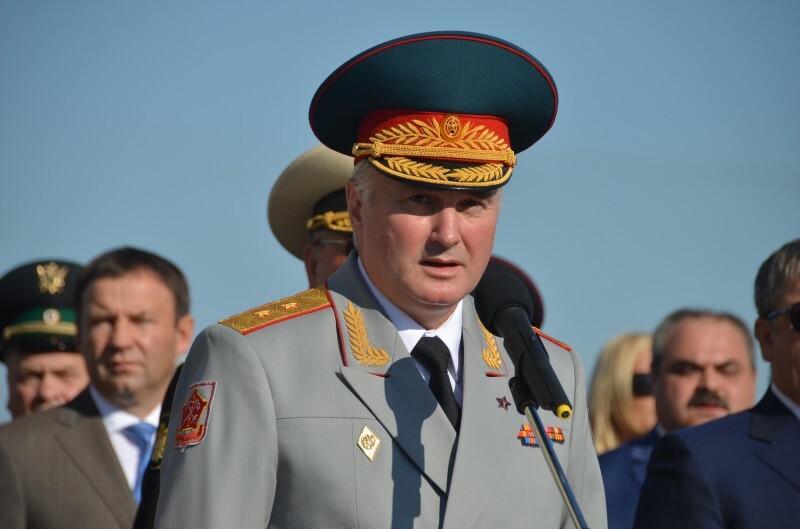 The GRU Chief was also allegedly given his third star to up his pension as a reward at the end of August. Typically, at this point, the press usually raises the possibility that the GRU might be headed by someone from the SVR, or even subsumed in the civilian foreign intelligence agency. But Serdyukov was willing to appoint a caretaker from inside to replace Korabelnikov in 2009. And the GRU falls on the uniformed side of the Defense Ministry where Serdyukov hasn’t replaced generals with his cronies from the tax service. But let’s return to Izvestiya . . . 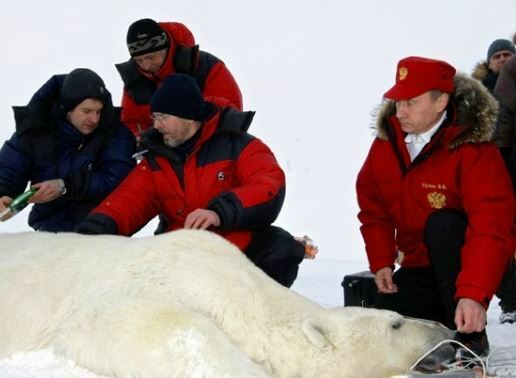 It may be, in fact, that President Medvedev hasn’t signed the papers yet. He’s just a little busy after all. 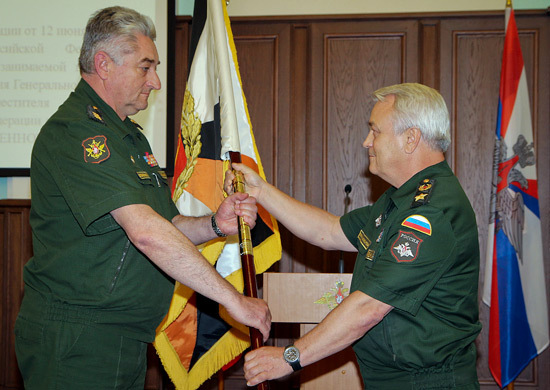 Fact is, Shlyakhturov’s been beyond statutory retirement age for a two-star general (60) for some time. This isn’t just a routine retirement on reaching the service age limit. There are a few possibilities: (a) Shlyakhturov has asked to be dismissed; (b) Shlyakhturov has to be dismissed for health reasons; or (c) the leadership is dismissing Shlyakhturov because it’s got a replacement. Unlike (c), (a) and (b) imply that (as the well-connected Shlykov intimated above) the leadership may not have a good candidate ready. But another short-timer can always be found.